This Cherry Tomato Tulip Bouquet is a bright & beautiful way to create a vegetable platter for your next spring party or Easter brunch! 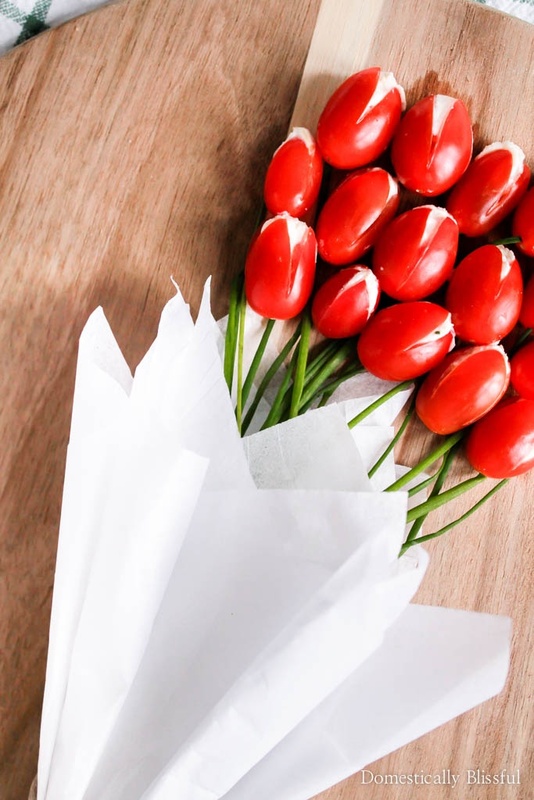 Isn’t this Cherry Tomato Tulip Bouquet absolutely adorable?? 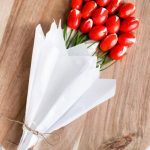 After seeing several cherry tomato bouquets on Pinterest & I decided I couldn’t resist creating my own edible flower bouquet. And since I’ve been obsessed with goat cheese lately I had to include it in this recipe. 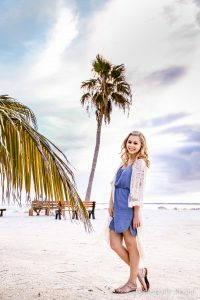 But if you aren’t a fan of goat cheese you can swap it for any type of cheese you like such as finely shredded mozzarella, white cheddar, or even Gouda! Or you could be cheese crazy & add them all in. 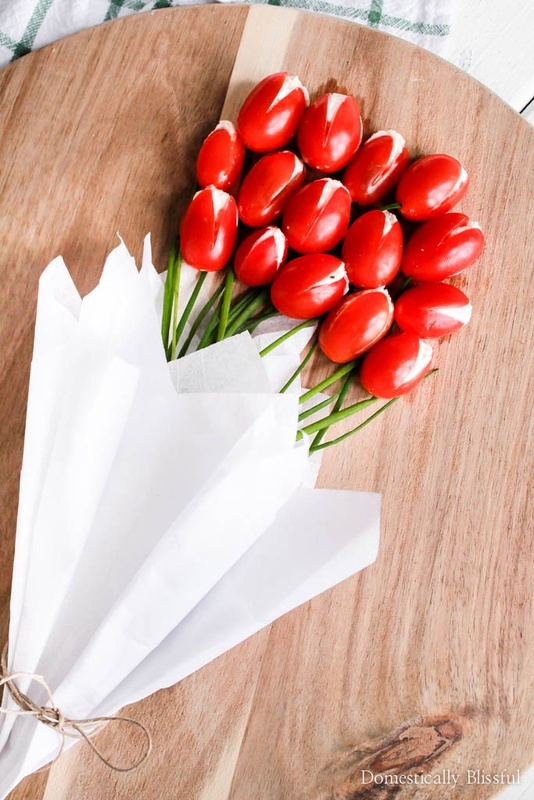 Now when it came to assembling these cherry tomato tulips, I first took a few new pieces of tissue paper & cut them into equally sized smaller squares. I then created the traditional bouquet shape (I’m not sure if there is a technical term for this) & secured it with twine & clear tape in the back. And luckily you won’t be able to see the tape because the bouquet has to stay flat on your cheeseboard or platter. I found that poking a hole in the cherry tomato for the “stem” just wasn’t going to cut it. The chive just didn’t want to stay in the hole as I assembled the rest of the tomato bouquet, so I quickly gave that up. Instead, I tried to accurately add a chive stem under the base of each cherry tomato. So it gives the appearance (somewhat) that they are connected. Plus, how many of your guests are really going to want to eat that chive? But what they will eat are these adorable cherry tomato tulips, but only after snapping a picture for social media! Place the goat cheese, cream cheese, rosemary, lemon zest, & salt in a bowl & mix until all of the ingredients are evenly dispersed. 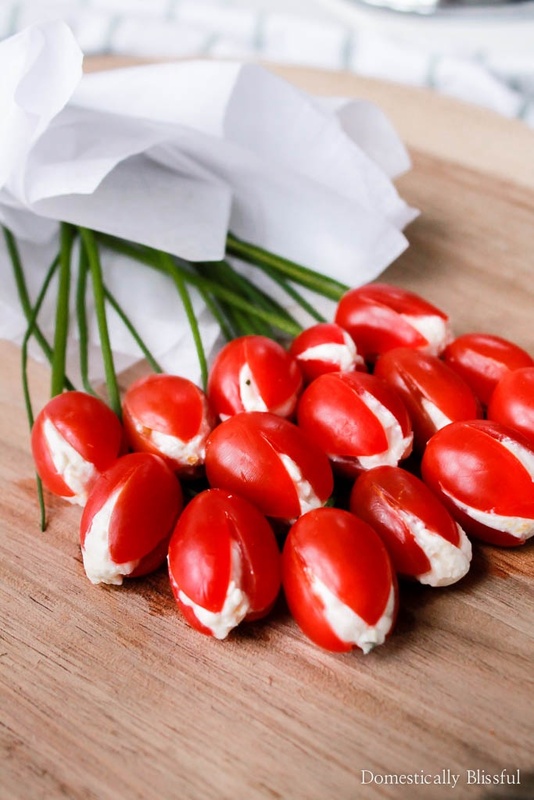 Place the cheese mixture into a plastic bag, cut the corner/tip, & pipe the cheese mixture into the cross shape at the top of each cherry tomato. 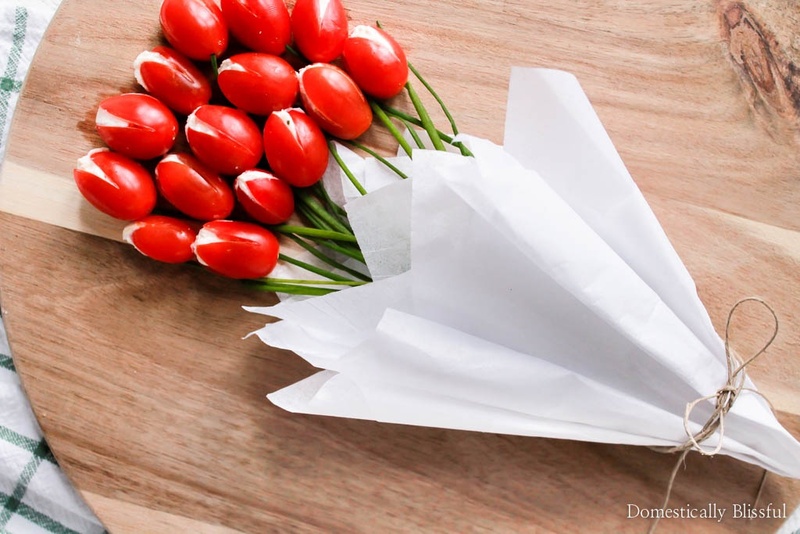 Then add the chive “stem” to the hole at the bottom of each cherry tomato tulip. Assemble your bouquet & keep chilled until ready to serve. *1. Not a fan of goat cheese? Try finely shredded mozzarella instead! *2. The hole at the bottom is for the chive “stem.” I struggled to keep the chive in the tomato so I eventually gave up & just placed a cherry tomato on top of each stem in the bouquet. 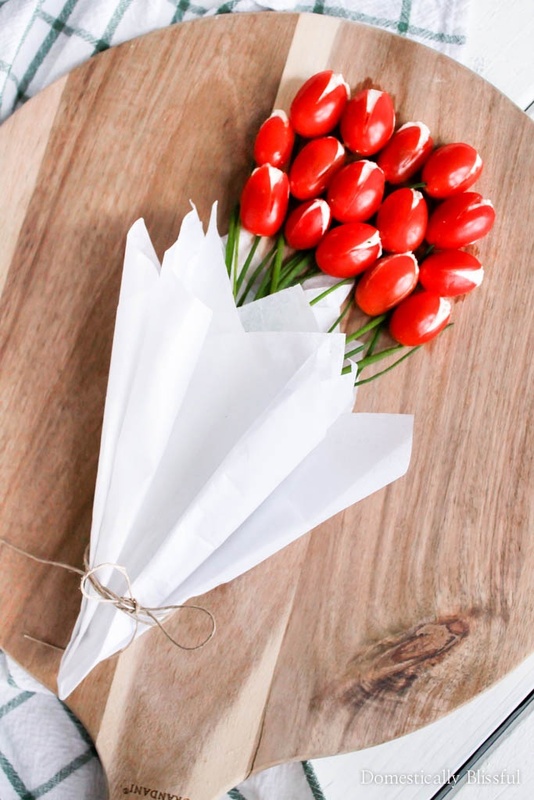 What cheese will you add to your Cherry Tomato Tulip Bouquet?